And sometimes I do... But mostly they just grow old in the binder I keep them stored in. 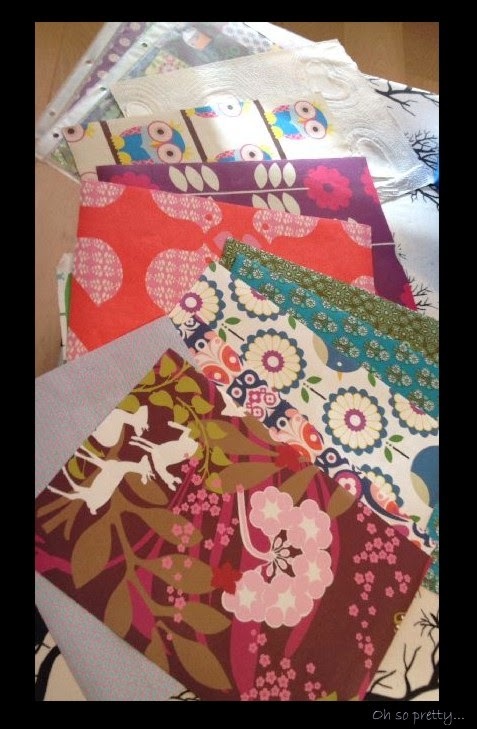 Going through my stuff I was finding pretty patterned papers I couldn't even remember when I bought. The front piece with the deer needs to be framed, it's just so pretty... I love the colors. I cannot cut that one up!